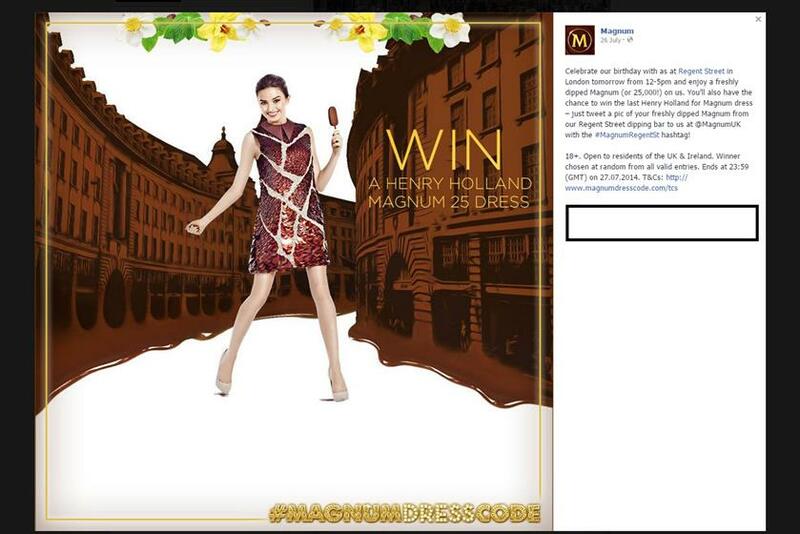 The ASA has banned an ad from Unilever and Asos, which promoted a competition that offered 25 winners a £5,000 Henry Holland dress, for being misleading. 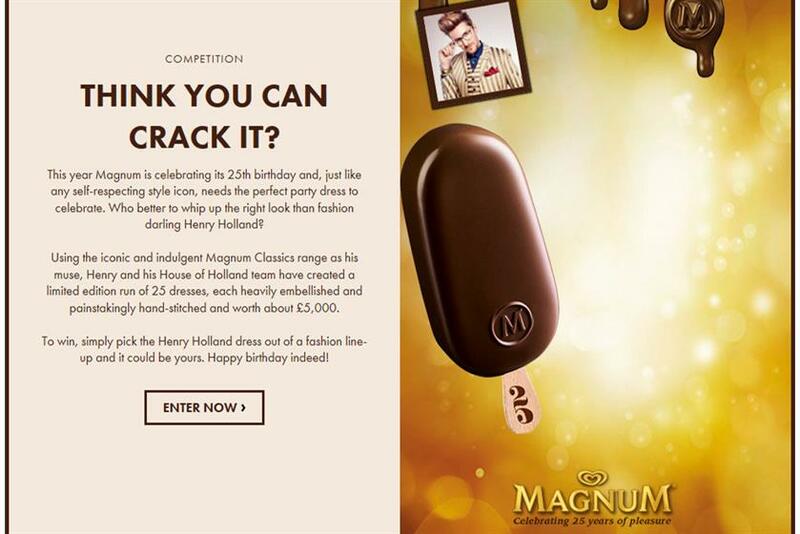 There were four ads from Magnum, the Unilever ice cream brand, across social media, including one on Asos, the online fashion retailer. The ads said 25 limited edition dresses were up for grabs, "each heavily embellished and painstakingly hand-stitched and worth about £5,000". However two winners were disappointed with the dress they received and complained that the prize was not as described in the ads. Unilever said the issues faced by the two complainants were isolated as it did not receive complaints from the 23 other winners. It also said the dresses may have been damaged during transit and offered to repair the dresses and give them a voucher for £250 as a gesture of goodwill. The Advertising Standards Authority said it understood that dresses with sequins are usually more fragile but the ads were not clear to consumers that a dress of the quality suggested would be damaged so much during transit. The adjudication said: "We considered that, given the problems reported with the dresses, the disappointment felt by the complainants was not unreasonable and concluded that the prizes had not been awarded as described because they did not match the expectation created by the implications of the marketing and the value stated in the ads had not been substantiated." The ASA said the ads should not appear again as they are and that Unilever and Asos should ensure that future competitions should be awarded as described.